R.L Jackson is an avid reader and writer, hailing from the Sunny state of Florida. She is also the Editor In Chief of Indie Authors Monthly a new magazine created for readers and authors. She enjoys binge watching Netflix, uses her treadmill as an oversized coat hanger, and hopes to make a best-seller list someday. A year after being left at the altar, headstrong E.R Nurse, Lana McKenzie is finally piecing her life back together. Tired of dealing with seeing her ex and his new girlfriend at every turn, she longs for blissful solitude and can't wait to enjoy a peaceful vacation alone in the mountains. However, her plans go awry when a rude stranger literally crashes himself into her life and mind. 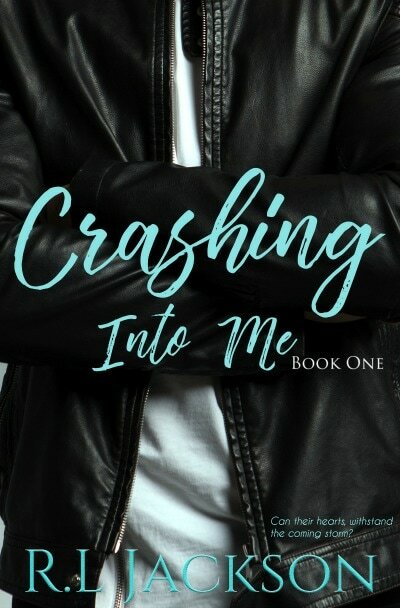 Handsome, wealthy, and troubled, Kayden Capshaw is struggling with the death of his brother, while also trying to escape the claws of his controlling mother. In his grief, the last thing Kayden wants to deal with is the fallout from his last run-in with the law. Yet, he also longs to get to know the woman now snowed in with him at the house on the hill. The ice between them thaws every minute they spend together, and they find that they have more in common than they realize. Will they find a way to make it through, or will it all, like the snow, melt away?